Over the weekend, I became embroiled in an email controversy. It was a small one, but meaningful to me. You see, Cookie didn’t believe me when I told her just how horrible my first ‘skein’ of handspun truly was. I had complemented her on her freshly beaten skein and told her that I wish my first handspun was as nice as hers. She replied that was not her first skein and her first skein was, as she put it, “a hot mess”. HA! I said! 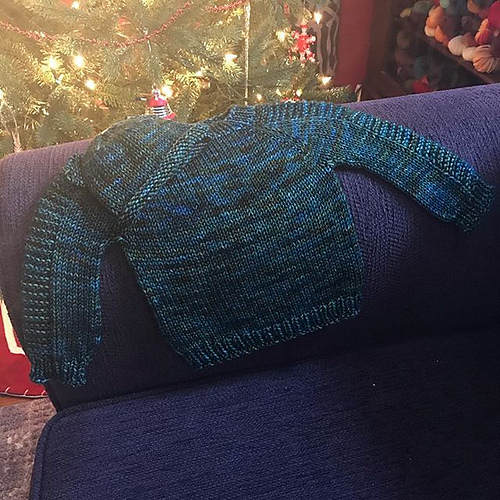 No way was it worse than my first skein! She didn’t believe me. The gauntlet had been thrown. 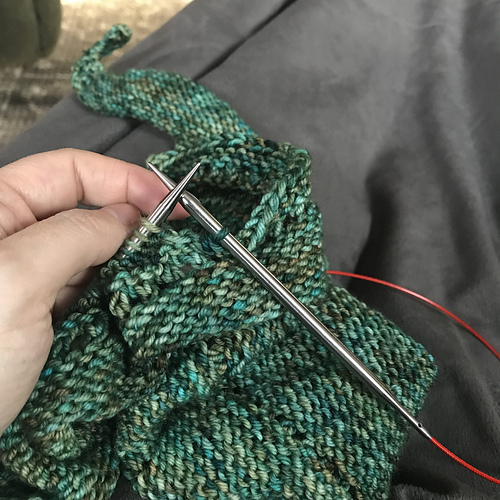 It was spun on a Bosworth drop spindle (fitting since Sheila taught me to spin at Cummington in 2006) and then – are you ready for this? 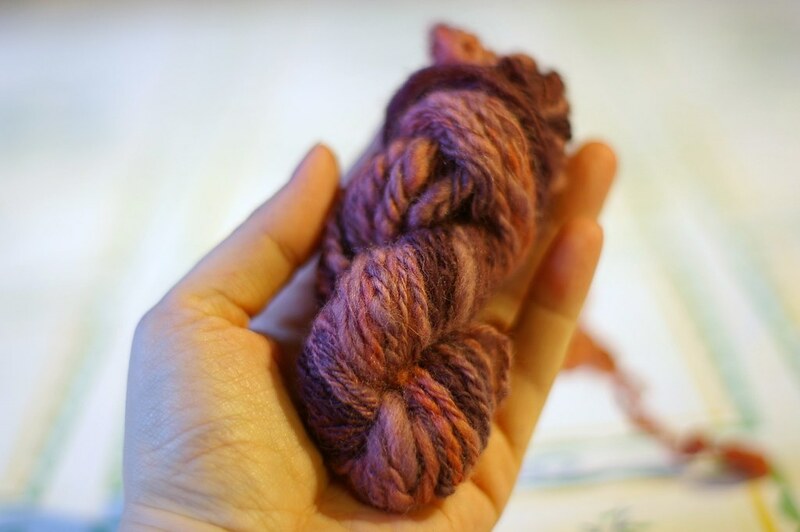 – Navajo plied on the same drop spindle. Because I wanted to conserve the colors. Because I thought I’d knit with it. 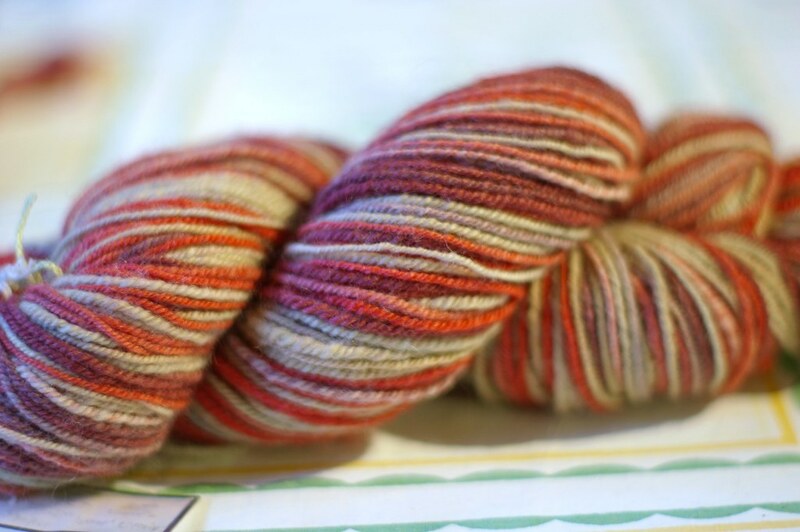 Of course, that first skein can also be considered ‘artsy’ since it’s thick and thin and you know what? I couldn’t spin like that anymore if I tried. p.s. I am very proud to have one of my Stitched bags added to the prize basket for Claudia’s MS ride donation drawing! For every $10 you donate, you get a chance to win one of some very nice prizes! Please head on over there and donate so we can help her get the #1 on her jersey for one more year (and, of course, support a very worthy cause)!